The Episode starts with pandit saying just Prerna has the right to be called Anurag’s wife, you may discuss the matter and call me if you need help. Mohini gets angry. Prerna says we will resolve the matter. Mohini says shut up, don’t you dare call me mummy ji, you and I can never share any bond, you trapped my son to live a good life, my son can’t marry you, you are just a servant. She faints down. Anurag holds her. Komolika asks Prerna not to touch Mohini. They rush Mohini to room. Nivedita says it all happened because of Prerna. Anurag asks her to calm down. She asks him to oust Prerna if he wants to see their mum fine. Komolika and Prerna argue. Mishka looks on. Komolika says I will show you what I can do, this is my Sasural, I can’t show them my real avatar, they will be scared, I will not be quiet, I can deal with you in seconds, I was helpless, if you think what I can do, you will be startled. Prerna asks are you threatening me. Komolika says you can ask Mishka, she will tell you about me, I m beautiful but my heart is black, remember this well, I don’t spare who comes in my way, I will ruin your face, if you learn living, I will send you to a place which you never imagined, mental asylum, you will never get out of here, just imagine. Anurag looks on and thinks that guy told me about Komolika. He recalls his reception party, where a guy met Anurag. The guy hugs him and says if you wish to be safe, come with me before Komolika sees me, if you wish good for yourself, family and Prerna, come with me. Anurag agrees. The guy gets scared of Komolika. Anurag goes to him and asks what do you want to say. The guy says I m Aryan, I used to handle her dad’s rallies, I loved a girl Sanchi, Komolika is very pretty, I didn’t wish to make her my GF, her friend challenged her that she can’t win me, she proposed me and I refused to her since I already had a GF, my GF met with an accident and her face was ruined, Komolika came into my life and I made a mistake to fall for her, then she left me. Anurag says sorry for whatever you said, now it doesn’t matter, its your and Komolika’s past, now she is married, we shouldn’t talk about it. Aryan says it was Komolika who ruined my GF’s face. Anurag asks what. Aryan says yes, she did this to get me, she will harm anyone, she can go to any extent, when I fell in love with her, she changed and thought I m cheating her, she placed Sanchi in a mental asylum, my dad is in jail, Komolika is very dangerous, she has even troubled my mum, she can’t handle rejections and betrayals. Anurag says this doesn’t make any sense. Aryan says she takes love as a challenge, she dumps the person who loves her, I know her very well, she enjoys doing this, she will try to control you by her beauty and magic, she told me that she ruined my GF’s face so that I hate her and leave me, Prerna can be her target. Anurag says shut up, I won’t let anything happen to Prerna. Aryan says you can’t be with Prerna all the time, you will be ruined, her dad is a big politician, no one will listen to you, please think, your company was in loss, her dad saved your company, I know the pain of losing someone, you won’t be able to bear this, if you really love Prerna, keep her away from Komolika. FB ends. Anurag thinks Komolika is saying the same things which she did with that girl. Prerna says I m really scared, shall I go home. Komolika says you should go. Mishka looks on. Prerna says you are a selfish person, you troubled my sister and now me, you like to play with people’s lives, smart people find some people who can outsmart them, its your turn to get troubled now, I m here now, you haven’t confronted me before, I will change your entire life, I fight for truth, self respect and rights, I will fight you, its going to be very dirty, I will get what I want. Komolika says Anurag. Prerna says he will get this answer. She taunts Komolika and goes. Komolika gets angry. Mohini takes Anurag’s room. Nivedita attends her. Mohini asks didn’t Prerna leave. Nivedita says no, she will leave, relax, you can’t take stress. Mohini asks her for phone. Mohini calls Veena. Veena says sorry we couldn’t attend Anurag’s marriage. Mohini says come here and take your daughter. Veena asks is Prerna there. Mohini scolds her. Veena asks her not to say anything against Prerna. Mohini says you could have at least given good values to Prerna, else I will throw her on the roads. Veena cries and says Prerna shouldn’t have gone there. Shivani asks what happened. Veena scolds her in anger. Shivani asks what did Prerna do. Veena says don’t follow me, stay at home. Shivani says don’t know what Prerna did, it means she has gone to Anurag’s house, but why. Anurag sees Prerna holding the spiritual thread. He also gets the thread from his neck. He recalls their moment and thinks this holds a special place in my life, my heart, my everything, I have to make Prerna end ties with me and move on in her life with someone else, I don’t care if she hates me, I want to stop Komolika from harming Prerna. Prerna says who said I have come here to obey you, I will do the opposite, I have come here to take revenge. Veena drags her. Prerna says I can’t go out of here. Veena asks what’s this. Prerna says I should have informed you before but…. 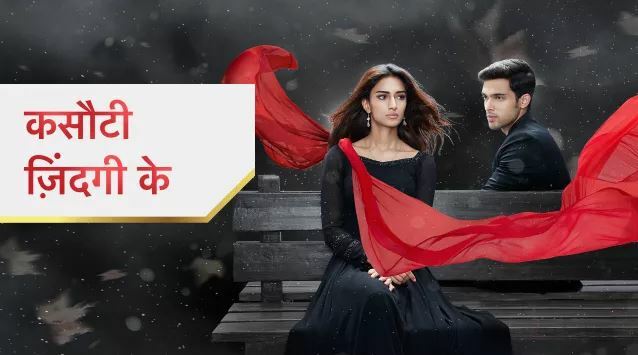 The post Kasautii Zindagii Kay 11th March 2019 Written Episode Update: Anurag fears for Prerna appeared first on Telly Updates.